The 80s was a time when comics became the thing that children always imagined them to be, serious. To give you an idea of the creative power behind comics at this time think about how Watchmen, Maus and the Dark Knight Returns all got released in the same year of 1986. Soon those landmark comics would be followed by a world wild fever of ravenous fans, cultivated after the '89 Tim Burton film; Batman. Fans of all ages, primed and focused on comics as adult fiction. Comics with adult themes. Before the interconnectivity of the internet the Batman film finally united the progressive English and European scenes that had been boiling away since the '70s into the mainstream Superhero comics of America. Love or hate Tim Burton, but he globalised comics and anomalies like The Dark Knight Returns became the templates for what people expected a superhero comic to be, guiding the direction of DC in a way that is still felt to this very day. Batman : Legends of the Dark Knight is more commonly known as LotDK due to the line never really ending. It is still running, though it has lost some of its serialised nature for cross story arcs but B:LotDK was a product of the changing face of superhero comics of the time and Batman comics in particular. In '89 Batman mania was across the first world and to capitalise on this a new type of comic was born. DC unwilling to fully commit to this change in style decided to produce a Batman series that would be disconnected from the rest of DC's continuity, the 1st solo Batman in 40 years I might add. Allowing the story tellers huge freedom. The goal was not to produce a serial, but instead to have different writers and artist producing a series of graphic-novel-quality stories that were dark and deep, and not necessarily directly connected to the currently running decidedly lighter books. This was an experiment that could be killed quickly if needed. 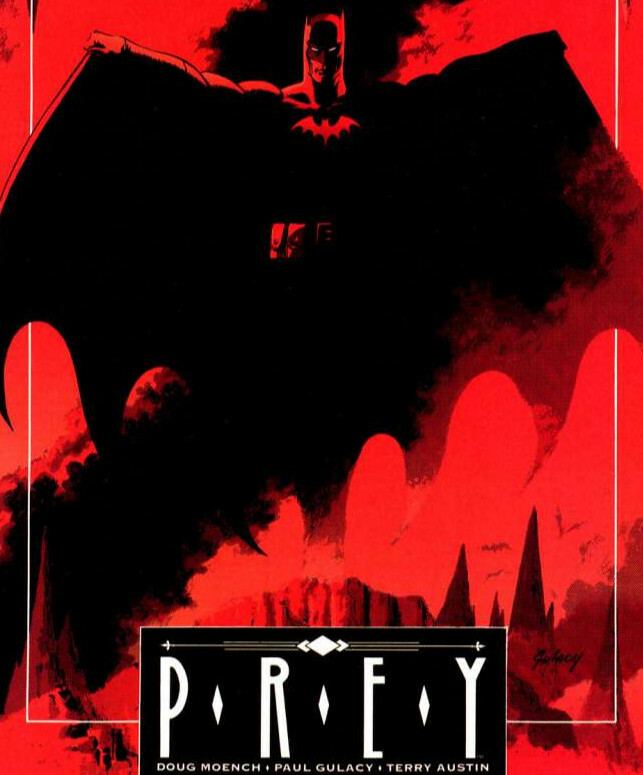 Prey is only one of a slue of fantastic stories found in this series that ran form 89 to 92 and are defiantly using Batman : Year One was as a template. 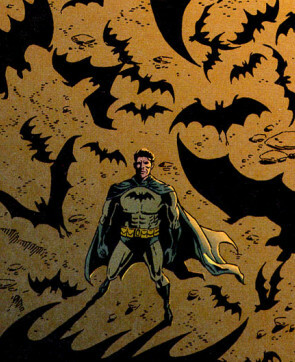 The entire series for B:LotDK is nearly entirety focused on Batman's early days. Gorden is not even Chief yet, Batman has yet to earn the public trust, villains are met for the first time and so on. Batman himself is a new and novel thing to the streets of Gotham. He isn't even called Batman for much of the series, as he is still rumour and each criminal has a different nick name. In Prey the mayor of Gotham forms a task force charged with capturing the vigilantly who dresses like a bat and enlists the help of a brilliant psychoanalyst named Hugo Strange. 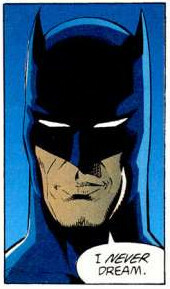 The most interesting part about this story is that it doesn't portray Batman as directly in conflict with any villain. In fact Batman's focus is to find a way to work within Gotham with out the interference of the police. There is a small inconsequential sub-plot about a drug dealer, but it is meaningless, it is only there to show how Batman can not function with out the support of the city he moves though. Finding this support in Gordon and the public trust is Batman's goal, not in taking down some moustache twirling villain. Then there is Hugo Strange, a massively underrated rouge from Batman's gallery, imo. He is also, in many ways, separate to Batman. He is the villain in this tale sure but he is not trying to steal anything, or ransom the city with a bomb or some such trite. Instead what we are given is a separate story that takes place while Batman is trying to find his place between Gotham and the Police. A story where a seemingly intelligent, well respected and insightful man is slowly, with great care and pacing, revealed to be completely deranged. I liken it to the story of Buffalo Bob in Silence of the Lambs. 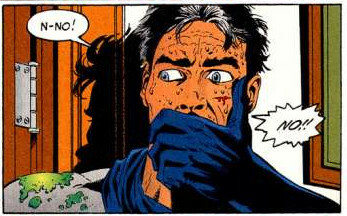 Hugo is just going about his life as a freak of nature, regardless of Batman, and it is the forced link by the Mayor assigning him to the task force that allows us to see it. This is a far cry from a comic villain flying into town and challenging the hero to a battle in main street over whatever like you see in so many comics today and man, is Hugo Strange out there. What makes it so great is that the madness is revealed in such a slow progression, oh it is so tasty. Unfortunately for Batman Dr Strange takes a interest in him and due to his psychological background chooses to attack Batman through psychological means. This here is the heart of the story, and what I consider the beating heart of all Batman stories. Is Batman as crazy as those villains he battles? Hugo pulls and pushes at Batman, and others until they spiral into a mental state that can not tell right form wrong, or friend from foe, or even what reality is itself, or maybe they never could. Not really. If you are looking for a classic Batman tale that still retains some of the old school feel, with iconic cliches still being used, yet at the same time some of the best storytelling Batman has ever seen. Then this is the series and this is as good a place to start as any. I mean the story Gothic was before, and Vemon is right after. You just can not go wrong. I really think Prey is about as good as Batman gets and modern comics could learn a thing or two about young adult story telling. Gratuitous violence and nihilistic pessimism dosn't make something adult, it just makes it blunt and crass, something this story is not.